A summary of an extensive report on the causes and action with respect to the communal riots in Mau. Recently, during the celebrations of Dussehra and observance of Ramzan, the district of Maunath Bhanjan (more popularly known as Mau) in eastern UP, witnessed communal tensions and widespread violence. 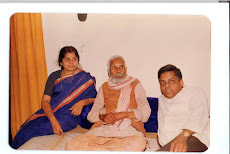 A fact finding team, consisting of Professor Rooprekha Verma (social activist and Secretary of Saajhi Duniya), Mr. Vibhuti Narain Rai (President of Saajhi Duniya, litterateur and activist on issues related to communalism) and Mr. Nasiruddin Haider Khan (journalist) visited the riot-affected areas in Mau to determine the causes of violence. The team spoke to the victims of violence, social and political workers, ordinary public and officers of district administration. The following is a synopsis of their report – the detailed version may be found here. Mau, home to farmers and silk saree weavers ( 80% Hindu and 20% Muslim), been a communally sensitive district, having previously suffered communal riots in 1969, 1983, 1984, 1988, 1990 and 2000. The shift in economic power from poor handloom weavers to big retailers and traders , after the advent of the power loom, seems to have fed the undercurrent of tension between the two communities. Every year, during Dussehra, a Bharat Milap ritual takes place in Mau. The site of the Milap is very near the Shahi Katra Masjid in an area which has majority of Muslim population. This site has been at the eye of several controversies, including a court case, which were sorted out amicably by members of both communities. Every year, the Bharat Milap function sees a heavy security arrangement, due to high probabilities of riots and tensions. This year, Dussehra coincided with Ramzan. 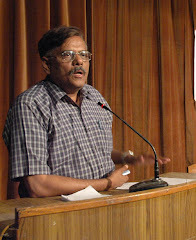 The precursor to the riot, started out as a simple dispute over the use of loudspeakers and disturbance of peace on 13th October, the scheduled date for the Bharat Milap function. Some minor incidents led to some Muslim youths being arrested, who were later left off. The riots spread to different areas, shops and clinics were looted, property was being targeted community wise and destroyed; further, false rumour mongering and the inactivity and ineffectiveness of the police aggravated the situation. In Salahabad, a big factory named Shimla Saree was the victim of very heavy looting and arson. A mosque near the Mau railway station was attacked. The looms and houses of Muslim weavers in Alinagar and Chhutki Rahjania were attacked. Likewise, in the Hindu dominated area in Pardahan Rana Khatoon's Rajeev Gandhi Mahavidyalaya is victim of mass scale violence. According to official information in three days (Oct. 14, 15 & 16) eight persons died in the riots. More than 300 houses, about 300 small and big business establishment, shops and kiosks have been looted and/or damaged. The biggest losers were the Muslim weavers, as approximately 150-200 power looms were destroyed. Many looms were dug and taken away by the looters and this operation must have taken hours. These weavers are now facing starvation. Also badly hit by the riots were people who are daily wagers or have small earnings. The extended report details all the areas attacked and destroyed during the riots. Mau remained under open violence for more than 72 hours. Total lack of will on the part of the state was clearly visible. On the 5th day of riot police filed FIR's against about 250 persons including Mukhtar Ansari, BJP MLC Ramji Singh , Hindu Yuva Vahini Leaders Ajit Singh Chandel and Sujit Kumar Singh, BSP's ex – MLA Nasim Ahmad on the charges of inciting riots, murder, arson and destruction. The BJP has reacted vociferously on Ramji Singh's arrest and is challenging the state on this. The media also remained partial on several occasions. The manner, in which TV Channels showed the clippings of Mukhtar Ansari by suppressing his voice, makes it clear that they wanted to give the message to their viewers that Mukhtar was at the center of the riot and he alone was responsible for the loss of Hindus' life and property. National and regional dailies like the Times of India, Hindustan Times and Indian Express also gave very biased views of the riots. 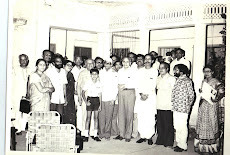 In spite of all the loss and apparent absence of humanity, there were instances of kindness and hope in substantial numbers, where several persons who saved the lives of people and challenged the rioters, like Parmhans Singh and Imtiyaz dot com who helped restore peace in Hindu and Muslim areas by taking rounds along with the residents of Keyari Tola and Dakshin Tola; in the Chandpura grain market, Comrade Wasiullah Hasan stood in front of looters, saying that the shops could be damaged only after taking his life. In Salahabad, Singhasan Yadav helped a Muslim escape from the rioters. Some Muslims guarded the Kaali Temple in Malik tahirpura and shops of Hindus in Ibrahim Market. These gestures are very important for all those who trust in humanity. The initiative of these people proves that a little bit of courage by civic society is sufficient to abating such riots. you can find this report in Hindi here. There is lot of confusion in the media about the communal tension and widespread violence which began in Mau on 13-14th October 2005. Consequently ÃƒÂ¢Ã¢â€šÂ¬Ã…â€œSaajhi DuniyaÃƒÂ¢Ã¢â€šÂ¬Ã‚Â? considered it necessary to visit Mau and acquaint itself with real situation. The first team of Saajhi Duniya visited Mau on the 20th October when the city was under total curfew. Again on Oct. 30 & 31 the representatives of Saajhi Duniya went to Mau. 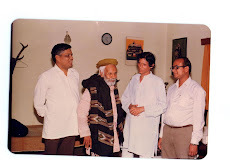 This team comprised of Prof. Roop Rekha Verma (social activist and Secretary of Saajhi Duniya), Mr. Vibhuti Narain Rai (President of Saajhi Duniya, litterateur and activist on issues related to communalism) and Mr. Nasiruddin Haider Khan (journalist). 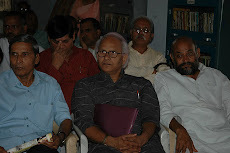 Mr. Jai Prakash Dhumketu (litterateur and activist) from Mau also joined the group. This team not only visited the riot-affected areas in Mau but also inquired into the causes of violence. The team spoke to the victims of violence, social and political workers, ordinary public and officers of district administration. The following is an attempt to express in words our efforts of 3 days in understanding the latest riot in Mau. rural and 60% is urban. also entered this trade and it is said that their number in this trade is substantial now. Not only this, the number of big Hindu retailers has also increased a lot. Surat have started giving tough competition to Mau sarees. As compared to the latter, the former are lighter and look more attractive and have greater shine. Surat sarees are a little cheaper too. As a result the sarees of Surat have started replacing the sarees of Mau in the markets of Mau and the adjoining areas where Mau sarees earlier had monopoly. The weavers of Mau are not able to meet the challenge of this competition. The wages of weavers have been reduced. The payment for weaving a plain saree used to be Rs.80/- but now it has been reduced to Rs.40/- only. Likewise, the payment for making a saree with ÃƒÂ¢Ã¢â€šÂ¬Ã…â€œButaÃƒÂ¢Ã¢â€šÂ¬Ã‚Â? (all over design) has come down from Rs.100/- or Rs.150/- to Rs. 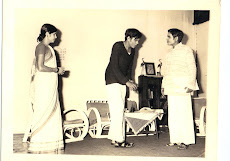 80/- or 85/-. This is the collective earning of 3 or 4 persons in a family who work on the loom and not of a single person. any violent incident in Mau. Before understanding the background of this riot it is necessary to know another fact. 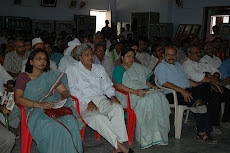 In Mau the most important programme out of all the activities held during Dushehra, is Bharat Milap. 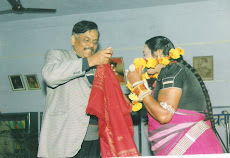 During Bharat Milap a ÃƒÂ¢Ã¢â€šÂ¬Ã‹Å“ritualÃƒÂ¢Ã¢â€šÂ¬Ã¢â€žÂ¢ is performed which is important although it appears ridiculous and due to this ritual this programme has always been a cause of worry for police and administration. The site of Bharat Milap is adjacent to the Shahi Katra Masjid in an area which has majority of Muslim population. It is said that several years ago there was a controversy regarding the construction of a gate in the mosque. The controversy reached courts too. Later people from both the community deliberated over the issue and decided that when the chariot of Bharat Milap would enter the site of the programme, it would strike at the gate of the mosque thrice. Similarly the ÃƒÂ¢Ã¢â€šÂ¬Ã‹Å“ritualÃƒÂ¢Ã¢â€šÂ¬Ã¢â€žÂ¢ is that on the occasion of Mohharam Muslim would climb up and down three steps of Sanskrit Pathshala which is situated in the neighbouring area. Ultimately it amounts to the appeasement of the ego of both the communities ! Every year organizing Bharat Milap becomes a great challenge to administration. Always heavy security arrangement is made on this occasion and the administration remains tense until the programme is over. This year Bharat Milap coincided with Ramzan. The day fixed for Bahart Milap was 13th October. The yatra of Bharat Milap starts late evening and reaches the site of the final programme next early morning. 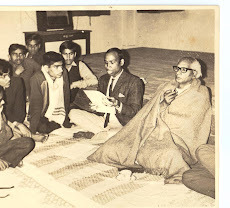 During this time the programme of singing Birha , a popular folk form of songs continues on this site. On the evening of 13th October Birha was being sung on loudspeakers on the above mentioned site adjacent to Shahi Katra Masjid. This was the time of reciting the Taravih in the mosque. The reciters of Taravih objected to the use of loudspeakers because of being disturbed due to loud sound. On the request of an elderly man loudspeakers stopped but after a short while they again started blurting. On this some Muslim youth snatched away the wires of loudspeakers. Police caught these young man and locked them up in police station. Mr. Ramji Singh, some other leaders of BJP and officers of administration reached the site for talks. 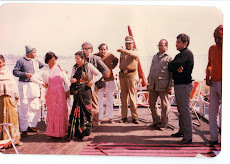 Ram Lila Committee felt that in such an atmosphere the security of those who would come to see Bharat Milap could not be guaranteed, it was not possible to organize the function. After discussions with the administration the Committee decided to postpone the Bharat Milap function to October 29. The whole controversy seemed to have ended at this point. But the conflict had really not been resolved. Some organizations, it seemed, were looking for an opportunity like this. Rivalry of BJP ,established representative of Hindus and Hindu Yuva Vahini , an organization of Yogi Aditya Nath , trying to capture the space occupied by BJP was also responsible for fresh trouble. This was demonstrated by re-starting loudspeakers on 13th October. Gupta radios, Raman Electrical Works, Sari Shop of IC Kedia, Cloth Shop of Dina Nath Agarwal, Jaiswal Vastralya, Sindhi Bidi, Hardware shop of Triloki, four shops on Chandpura road (in which three belong to Muslims), office of Jamia Ahle Hadith, Jadi Booti Shop of Vikram, few shops adjacent to Munshipura overbridge etc. The shops looted in these areas largely belong to Hindus. Some of these shops are very big and old. The estimate is that they must have suffered loss of several lacs. Out of these shops three were totally burnt and damaged. It is worth attention that dozens of HindusÃƒÂ¢Ã¢â€šÂ¬Ã¢â€žÂ¢ shops near these looted/burnt shops are totally safe and untouched. The damage seems to be very selective. The rumour of looting and desertion in Sindhi colony remained strong for a few days but it turned out to be false and baseless. During relaxation in curfew all the shops in this area were found to be open and full of goods. shops were fully safe. Not only this, during the relaxation of curfew if one looked at the large number of open shops, one could notice only with great difficulty that some isolated shops in the midst of these open shops were totally ruined. Very few Muslim shops remained intact in this area. The information is that to save these shops the owners paid heavy fee to the local goons. to flames. In our visit on the 20th we saw smoke still billowing from this complex although it was 5th day of violence in Mau. twenty thousand sarees, computer, generator, fridge, furniture all were burnt or looted and estimated loss is of about 1 crore. Without seeing this factory it is difficult to imagine the loss. It is a matter of great surprise such a big factory and its costly gadgets had no insurance cover. After this incident a big crowd of Muslims reached this area and indulged in loot and arson in about a dozen shops owned by Hindus in the vicinity. This arson burnt tractor, van and motor cycle etc. These shops, by and large, had the investment of small capital. Two or three shops among these were damaged also. According to some persons who spoke to us, during this violence some Hindus called Mukhtar Ansari for saving them. Even though Mukhtar Ansari reached there, violence did not stop. In the presence of Mukhtar Ansari firing took place and one person died. An FIR against Mukhtar Ansari was lodged in this case although later the complainant disowned his allegation. Now even police officers are saying tongue in cheek that the firing was not done by Mukhtar Ansari. Muslims came on the railway station. Because of their arrival although the rioters ran away but Muslims attacked the railway employees and passengers there. capital. It is said that after the events at Salahabad turn as a chain reaction these Muslim weaversÃƒÂ¢Ã¢â€šÂ¬Ã¢â€žÂ¢ habitations were attacked. retailiated and raised alarm, the rioters ran away. The next day, that is, on October 15, Hindus from the neighbouring colony started deserting the area. Under scare and suspicion some Muslims also started fleeing. cricket in the fields nearby who the owners of these houses were they were not ready to speak out and feigned ignorance. Even after 15 days of violence the owners have not dared to return. hours in an area which is only a few steps away from the residence of the District Judge. One of the police personnel told us that Rana Khatoon is great supporter of sarva dharma sambhav and used to financially support the function of Krishna Janmashtami. About 15 or 16 factories were looted in Tajpur New Industrial Estate. In these factories each had about four or five power looms. The rioters took away some of these power looms and the rest were consigned to fire. Excepting one, all others belonged to Muslims. In Salempur near Rampur Chakia approximately one and half dozen houses of Muslims were victims of loot and arson. The looms installed in these houses also suffered damage. On the 5th day of riot police filed FIRÃƒÂ¢Ã¢â€šÂ¬Ã¢â€žÂ¢s against about 250 persons including Mukhtar Ansari, BJP MLC Ramji Singh , Hindu Yuva Vahini Leaders Ajit Singh Chandel and Sujit Kumar Singh, BSPÃƒÂ¢Ã¢â€šÂ¬Ã¢â€žÂ¢s ex ÃƒÂ¢Ã¢â€šÂ¬Ã¢â‚¬Å“ MLA Nasim Ahmad on the charges of inciting riots, murder, arson and destruction. BJP leaders tried their best to encash this opportunity to gain their lost ground. The type of statements these leaders issued in the very beginning of the riot are sufficient proof. Kalyan singh (national Vice President of BJP), Keshrinath Tripathi (state president) and Lalji Tondon (Leader of opposition in UP legislature) took up the front in Lucknow. They blamed the riots on the appeasement policy of the government. They publicly spread the rumours that the members of a particular community were fleeing from place to place to save their lives. They made Mukhtar Ansari solely responsible for the riot. Suddenly these BJP leadres beacame very active. Keshri Nath Tripathi, on his arrest while trying to enter Mau, even said that SP government is bent upon making Muslim a majority community and, He alleged, this was the reason why selectively Hindus were being massacred. Yogi AdityaNath also said similar things on being prevented from going to Mau. Such falsehoods were repeated uttered in public and such an atmosphere belief was created as if mass annihilation of Hindus was in progress. After lot of hue and cry Mukhtar surrendered in Ghazipur in connection with some other case and police could succeed in arresting Ramji Singh much later on 2nd November 05. Before this Mukhtar and Ramji Singh were freely roaming around and police was not arresting them despite having FIRÃƒÂ¢Ã¢â€šÂ¬Ã¢â€žÂ¢s against them. 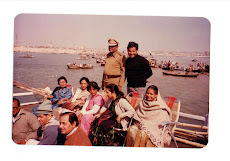 Ramji Singh had openly dared the state to arrest him and face the consequences. After his arrest too BJP has given a tough reaction and again dared the state to face the consequences. official lists of the dead and the injured is enclosed.) The number of those who have been arrested till 30th of October on the charges of violence or only on suspicion is 442. Of these 205 are Hindus and 237 are Muslims. A large number of people complained of police excess. In weavers colony Muslim women and men complained that police-PAC arrested people after breaking open the door late night. Among the arrested, they alleged, were minors. been looted or put to flames. The biggest loser is the Muslim weaver. As per the information gathered till now approximately 150-200 power looms have been devoured by the riot. Mostly these Power looms were owned by Muslims. The temerity shown by the rioters is astounding .Many looms were dug and taken away by the looters and this operation must have taken hours.These weavers are now facing starvation. bread and butter was created for the common public at the time of festivals. The happiness of Diwali and Eid had evaporated from people's lives. The total loss must be in Crores. Mukhtar Ansari is independent MLA from Mau Sadar. Any one who takes interest in the eastern U.P. must be acquainted with the activities of Mukhtar Ansari. The base of Mukhtar is Ghazipur . The general perception of common man is that Mukhtar is a brute murderer and extortionist and it is not far from the truth as his deeds in the past have been such which should invite strictest punishment from the law enforcement system. He is accused in several cases of murder, kidnapping and ransom. He has also been to jail several times. A characteristic of Mukhtar is that he has been mostly with the ruling parties. 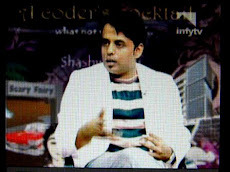 Presently he is a supporter of Samajwadi Party (SP). 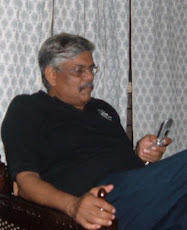 During the last BSP regime he was supporter of BSP govt. In the last assembly elections Samajwadi Party had alliance with CPI. 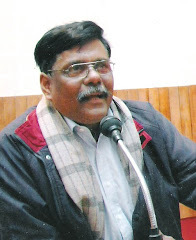 The seat of Mau Sadar was allotted to CPI. Despite this agreement the workers of SP worked for Mukhtar instead of CPI candidate. Mukhtar also campaigned for several SP candidates on the seats of neighbouring areas. was missing; the clipping was mute. According to our information this CD was made by some stringers of electronic channels who were on Mukhtar AnsariÃƒÂ¢Ã¢â€šÂ¬Ã¢â€žÂ¢s jeep during his visit to the riot prone area.. Obviously Mukhtar Ansari must have offered them place in the jeep. Later when the actual CD was shown , it was revealed that there Mukhtar Ansari was in an entirely different role. This CD had the voice of Mukhtar too. He was exhorting people to go back, giving instructions to send the injured to hospital and talking to police officers. The boys injured in the firing by Chandel were lying in police station and Mukhtar Ansari Sent them to hospital in his jeep. We also got the information that when violence started in the city, Mukhtar Ansari was not present there. He was seen on the streets after several hours. According to most of the persons in both the communities with whom we talked Mukhtar Ansari was trying to pacify the crowds and he also arranged to send the injured to hospitals. The people even said that on the Salahabad turn it were Hindus who called Mukhtar Ansari to save them although he had to face stone pelting and ultimately he had to run away. Despite all this the commonly held opinion is that mere presence of Mukhtar Ansari should have encouraged the lumpen elements in Muslim community. The question is how could Mukhtar Ansari openly moved around in the city despite curfew ? The argument of Mukhtar Ansari is that he is a legislator and as a peopleÃƒÂ¢Ã¢â€šÂ¬Ã¢â€žÂ¢s representative he came on streets to quell violence. However Mukhtar Ansari has another image besides being a peopleÃƒÂ¢Ã¢â€šÂ¬Ã¢â€žÂ¢s representative and this image can have adverse affect on such occasions as in Mau. DSPÃƒÂ¢Ã¢â€šÂ¬Ã¢â€žÂ¢s and 20 Inspectors were sent to Mau. On 16th October 2 more companies of PAC were made available to Mau administration. It is clear thus that even if on 14th October Mau administration had insufficient police force, on October 15 & 16 the available police force was sufficient in the real sense of the term to control a small place like Mau. On 14th October both Hindus and Muslims suffered in terms of life and property. But the violence on October 15 & 16 mainly affected the life and property of Muslims. Not that the administration did not have sufficient police force in fact it is an open example of the lack of will power of the state. It looked as if the organs of the state did not wish to stop violence. Only as a fallout of this attitude of the administration Alinagar, Chhotaki Rahzania, Shimla Sadiwale, Chakia, Ali Building, Khadi Store in Ranveerpura, Narza Filing center, Ahmad Beej Bhandar, Tajpur New Industrial Estate, Areas nearby Nadi Us Paar were targeted for violence after 14 October. 'To live in Gorakhpur one has to chant Yogi...Yogi' (Gorakhpur men rahna hai to yogi yogi kahna hoga). As the area of his influence is expanding, this slogan is also taking new forms. Now the slogan is, 'To live in Purvanchal, One has to chant Yogi...Yogi. (Purvanchal men rahna hai to yogi yogi kahna Hai). The maximum influence of the Yogi is in the 7 districts of Gorakhpur Division (Gorakhpur, Deoria, Kushinagar, Mahrajganj) and Basti Division (Basti, Sant Kabir Nagar, Siddharthanagar). Now he is spreading his wings in Azamgarh Division. Mau is a part of this division. The Yogi functions through different organizations which he calls cultural organizations. 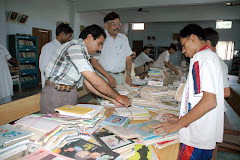 Included among these organizations are Hindu Yuva Vahani, Hindu Jagran Manch, Sri Ram Shakti Prakoshtha, Gorakhnath, Purvanchal Vikas Manch, Vishwa Hindu Mahasabha and Hindu Mahasabha. The main functionary of all these organizations is only Yogi Adityanath. A candidate has won the assembly elections on the ticket of YogiÃƒÂ¢Ã¢â€šÂ¬Ã¢â€žÂ¢s Hindu Mahasabha from Gorakhpur Sadar and has reached the assembly as MLA. But the most vital organization for Yogi is Hindu Yuva Vahini. This organization comprises mostly unemployed youth, small level criminals and the youth struggling for identity. For them any small event involving Muslims becomes very important. As soon as they receive the information of such an event, the workers of Hindu Yuva Vahini reach there as the messengers of Yogi and later Yogi himself reaches . Most of their acts are destructive like arson, destruction of property and beating. 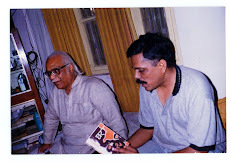 A lively example is Mohanmundera episode in Kushinagar. Here a Muslim boy raped a Hindu girl and the girl died during treatment. After 3 days when Yogi came to know about this, he reached there with his Vahini workers. The property of all the 72 Muslims families was looted. Their houses were put to fire. Masjid was damaged. Police remained a neutral witness. There are several such examples. If for any reason revenge could not be taken then they hold a meeting on the same spot where the event took place. They called such a meeting ÃƒÂ¢Ã¢â€šÂ¬Ã‹Å“Hindu SangamÃƒÂ¢Ã¢â€šÂ¬Ã¢â€žÂ¢ or ÃƒÂ¢Ã¢â€šÂ¬Ã‹Å“Hindu Chetna SangamÃƒÂ¢Ã¢â€šÂ¬Ã¢â€žÂ¢. 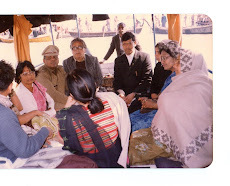 When YogiÃƒÂ¢Ã¢â€šÂ¬Ã¢â€žÂ¢s effort to go to Mau with his workers, after the riots started, did not succeed then he held a meeting at Dohri Ghat itself where he was stopped. 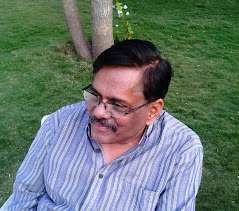 This polarized Hindus and it affected the elections of district panchayat membership also. Not only this, it also emboldened the supporter of Yogi in Mau and the wrong message of mass scale massacre of Hindus was sent to the places outside the district. When Yogi Adityanath came to Lucknow in connection with a programme recently, he not only repeated the falsehood that Hindus were being massacred in Mau but also gave a warning of revenge. Some analyst contended that the spread of YogiÃƒÂ¢Ã¢â€šÂ¬Ã¢â€žÂ¢s work is really the result of administrative inaction. Not only this, Yogi is also taking the advantages of the fact that the other political parties have abandoned the struggle for development. In connection with the events of Mau the role of media remained partial on several occasions. The manner, in which TV Channels showed the clippings of Mukhtar Ansari by suppressing his voice, makes it clear that they wanted to give the message to their viewers that Mukhtar was at the center of the riot and he alone was responsible for the loss of Hindus' life and property. Whatever other allegations may be rightfully made against Mukhtar Ansari, the truth is that had media made public both the audio and the visual aspects of the CD, his image would have been entirely different. In print media too Mukhtar was presented as the main culprit. Although on the first day one newspaper clearly published that 'Stones were pelted on the Sadar MLA Mukhtar Ansari who reached the site of the riot to pacify the people', soon all the newspaper including this one presented him as the central cause of violence. the situation in Mau was equated with that in Kashmir. In one news item it said that ' The days are not far when Mau city would become synonymous with Kashmir'. Another news item in this newspaper declared that 'the condition of Mau was much more dangerous than even the civil war in Kashmir'. Besides, the news items in the papers Amar Ujala, Hindustan, Hindustan Times etc. also painted biased pictures of Mau. looted. The major point is that when a party with a people oriented ideology and strong base in people's struggle loses its base, such forces occupy its space which flourish on riots and violence. Moreover, the silence and inaction on the part of civil society also is a cause of concern. 'Had Muslims not saved them, how have Hindus in the old city survived?' This comment from a political worker is very important. In Mau there are several persons who saved the lives of people and challenged the rioters. There are quite a few in persons in this city like Haji Abdul Sattar, Abdul Samad and Haji Wakil who challenged the rioters in Sindhi Colony, or like Salim Ansari, Qamruzzaman and Haji Irfan who stopped the fanatics. 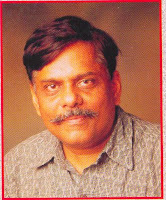 On other hand there are people like Ashok Singh, who saved the Grihastn Plaza at Ghazipur tri-section from arson, Anil Rai who defended a furniture shop against looters, Hindu Landlords near Ali building who saved Noorkamal, Doctor Udai Narain Singh, who saved two lives, Ashok Gupta who gave shelter to Nine Muslims. In Indara a Muslim sheltered several Hindus, when a mob was approaching towards them, and had his fingers in tangled in the door, while closing it, chopped off by knife attack. The Hindus under his shelter remained safe and intact. guarded the Kaali Temple in Malik tahirpura and shops of Hindus in Ibrahim Market. 1. The riot in Mau is entirely the result of the failure of the administration and the state. 2. This riot of Mau is the biggest and the most fearsome of all the riots, which took place here. For the first time on such large scale the rioters organized themselves and executed violence in a systematic manner. The loss has also been maximum. 3. According to the public Mau it is also for the first time that during the riot Schools and Hospitals belonging to minority community vandalized and large scale attacks on Mosques were made. This is a great cause of worry. 4. Power loom is life line of the weavers. Destruction of power looms is connected with their economic ruin. The weavers require immediate help in view of the destructions of the power looms. 6. The intervention of secular forces is absolutely essential to stop this flow of communalism. The state will also have to show its willpower. Otherwise, several other Maus can occur. sufficient for chasing away the rioters. Sari a common form of clothing for women across south Asia, draped around the body in different styles to form a garment. It is a seamless rectangular piece of fabric measuring between four to nine meters decorated with varying pattern, colour, design, and richness. vibhuti ji ! After all mau people are praising mukhtar and he ia the winner of this election. I feel shame that i belong to this place.